FOR SHAME!!!!!! First I need to tell the folks at The One Ring.Net I am sorry. This is the first Oscar party I have not attended since Fellowship. I am in the middle of a move and I did not think there was going to be a party so I did not plan for it. MY BAD. I hope you all had a good time at The Cat and Fiddle. I can hardly believe it has been 10 years since the ROTK sweep. I will have to do a later blog on the greatness of The One Ring. net. I have been to LA many times for the Oscars and it is CRAZY how much of a transformation The Hollywood and Highland area goes through for this one event. Back in the day it was not this bad but now they have trailers parked blocks away for the coverage of the "Red Carpet Looks". I do not like LA all that much but I LOVE Oscar weekend in LA and have a good time. This year, I am at home and as usual am not that excited about many of the nominees. I miss being with my people and watching with folks who are rooting along with me. To Larry and all the gang, thank you for the years together and I will see you this time next year for sure. OKOKOK to this years Oscars. I am writing this as the show is on so it will be completely irrelevant once the show is over. HAHAHAHAHAHAHAHAHA. I am not really all that fond of this years best picture nominees. Out of all that I could stomach I liked Gravity the best so I will root for this long shot. I love Amy Adams and Jennifer Lawrence but I was not a fan of American Hustle so that is a bit of a conundrum. I want Pharell Williams and "Happy" to win for best song because it is just....happy. I have to say so far the best part of the night is Ellen DeGeneres. I am not personally a big 'fan' but she is keeping the show funny, modern and relevant. WAY TO GO ELLEN!!!! Thank you for being one of the best Oscar hosts....I like you and I like Billy Crystal. BRING ELLEN BACK NEXT YEAR. As I am watching I am also following Twitter which I only do once or twice a year. Kevin Smith is a STUD if you are not following him you need to do so. 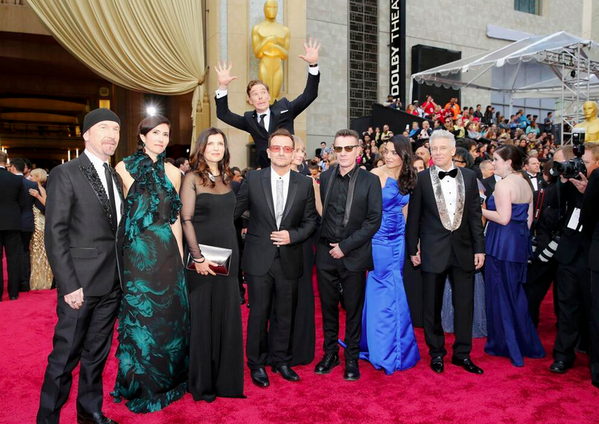 I am so excited to see all of the Benedict Cumberbatch photobombs. I love the music for the memoriam. It is the music from Somewhere in Time, I was married to some of that music. So sad how many we have lost....so many greats in their own right, some gone too soon and some who are immortal. Who does not LOVE Bette Midler? She is so wonderful. Ok so it is now over and I am meeehhhh on everything. I love Matthew McConaughey but was he all that in this? I could not make it through the movie so I am not so sure. Who was better? Dunno...I do think Leonardo DiCaprio is the most underrated actor of our generation though and I wonder if he will ever be recognized. All in all I loved the selfies and the tweets more than the winners. Normally I am all in for something and this year was so debbie downer that I was indifferent. Yay to Cate Blanchett aka Galadriel.....too bad I do not like anything Woody Allen does. Thats all for Oscar night...we are going to watch Enchanted...one of our favorite Amy Adams Movies. Congrats to all of the winners and to all of the nominees...time to party.